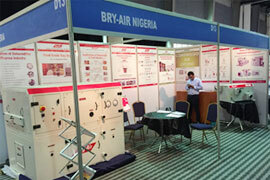 Tapping the packaging, printing and plastics sector, Bry-Air participated in Propak West Africa 2016. The event saw participation from all packaging and plastics stakeholders in the supply chain. The event held at Nigeria from September 20 to September 22’ 2016.